Another appointment today with Dr. Parker! The three little Garay Peas are growing! And boy do I feel it! All my ligaments are stretching three times faster than a singleton pregnancy. But, luckily my ovaries are getting a little smaller. Hopefully every week they get smaller and these babies get bigger! 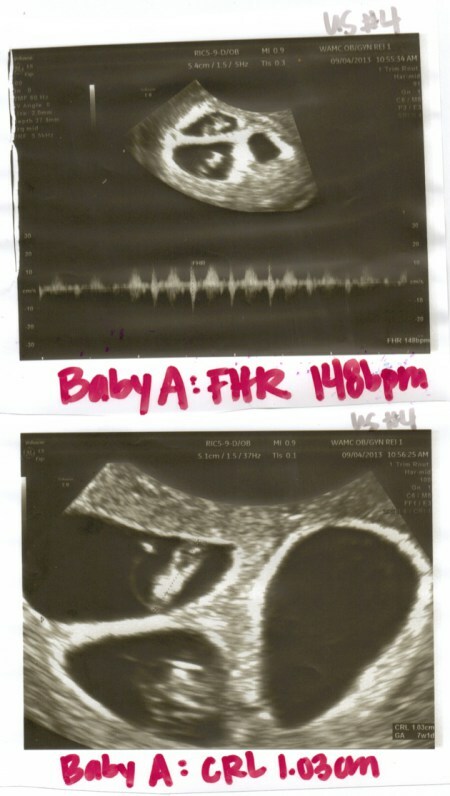 Here are some ultrasound pictures from today. As you can see they are all growing right on time! Heartbeats are perfect! Lengths are great! Baby B is measuring 2 days ahead of the others...Fat kid. 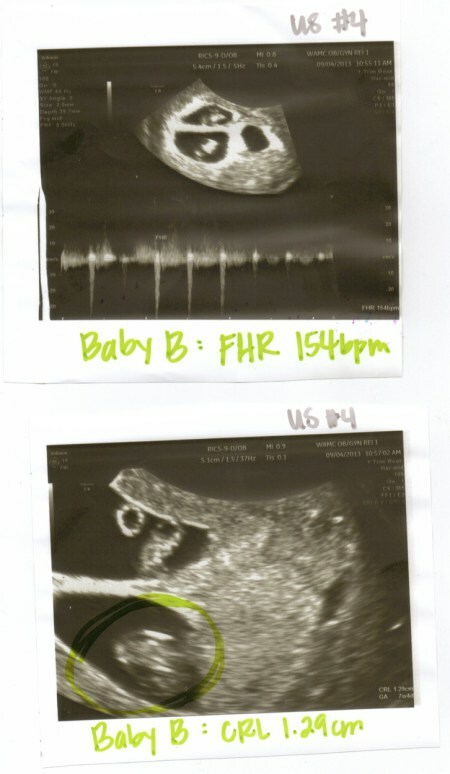 These are other photos from the ultrasound, just getting different view points. All three little peas in the pod! Just looking cute!